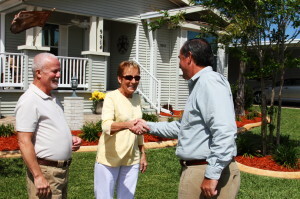 Founded in 1986, Blair Group is one of Florida’s largest developers of affordable active adult lifestyle communities. We think of our residents as friends, and at each Blair Group community you can experience our total commitment to your satisfaction. Locations are carefully selected for convenience to shopping and services. Each community is designed to provide a secure setting with plenty of social and recreational activities for the active adult! Let us know how we can help you achieve your goal of an active adult lifestyle in the Florida sunshine! We promise to work for your satisfaction and happiness as our valued customer and neighbor!